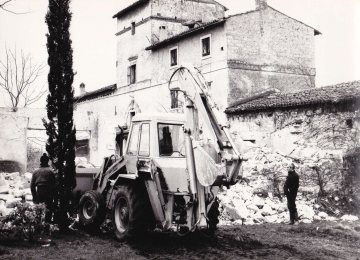 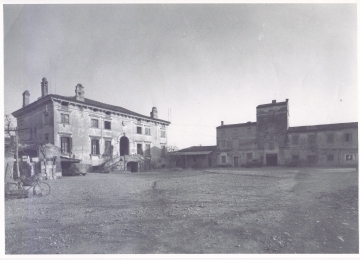 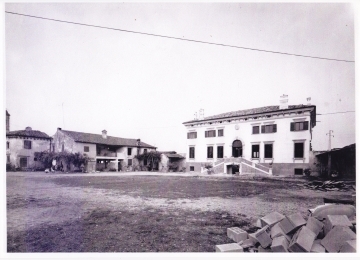 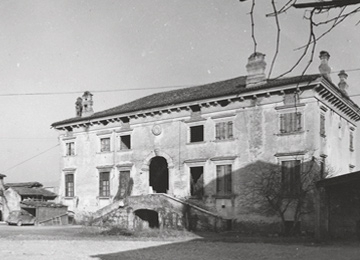 The origins of the Villa del Corno Alto were found in an old farmyard, perhaps from Medieval times, with rustic farm buildings, oven and dovecote tower, built on a scenic bluff overlooking the Adige river valley and the Valpolicella area. 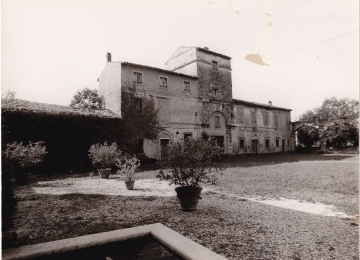 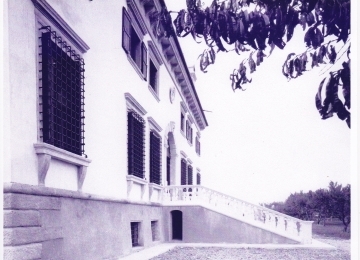 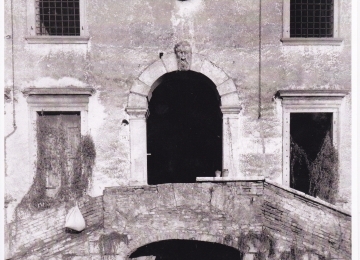 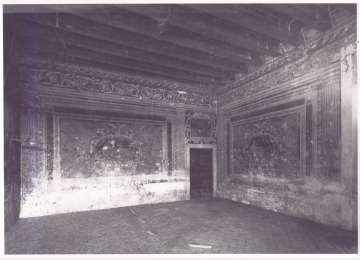 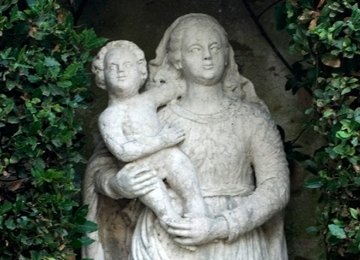 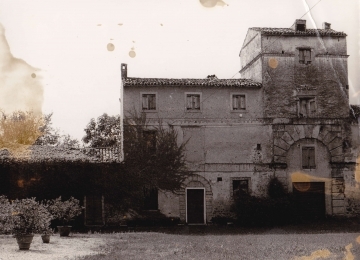 Gian Giacomo d'Arco became the owner in the early seventeenth century and built the magnificent manor house of the villa complex and the adjacent chapel dedicated to St. James the Apostle, that can still be admired today. 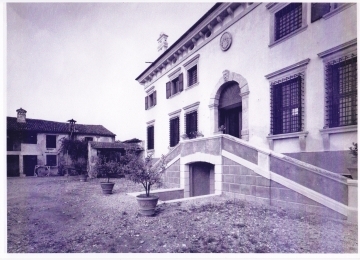 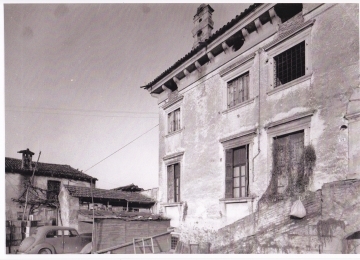 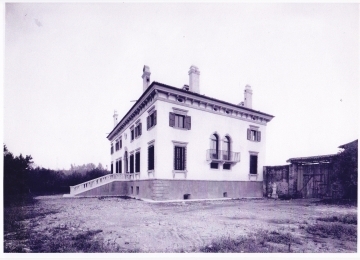 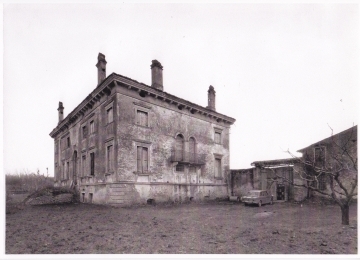 The villa: The main façade of the villa features a double staircase and the original baroque chimneys. 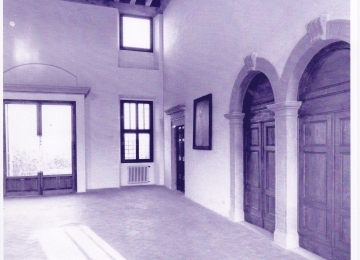 The style is reminiscent of that of the renowned Veronese architect Sanmicheli (1484-1559). 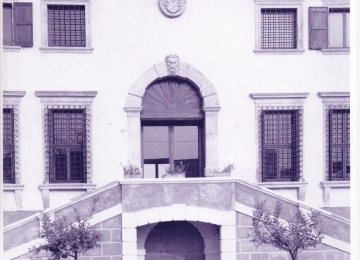 The opposite façade bears the coat of arms of the original d'Arco family as well as that of the current owners, the Sagramoso family. 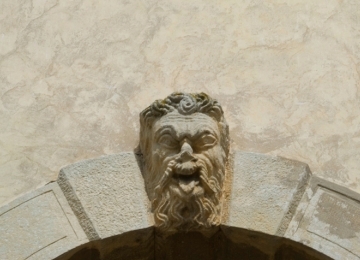 There is also visible a bearded mask, a traditional keystone over the arch of a large door, popular during the baroque Renaissance, often representing an Olympian god or a grotesque face. 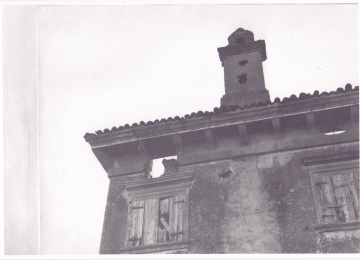 The pigeon tower: People used to raise pigeons for food as they were an important part of a peasant diet. 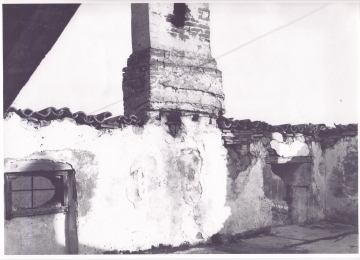 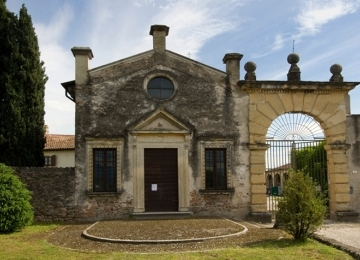 The pigeon tower of the Sagramoso Sacchetti villa derived from a primitive late Medieval building transformed in the early seventeenth century with the addition of two large portals in Renaissance style with rough, unfinished yellow limestone blocks in harmony with the majestic entrance gate to the courtyard. 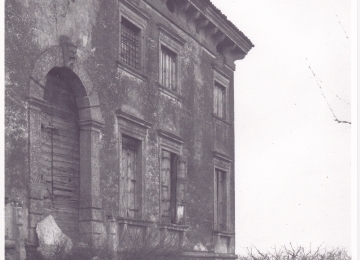 The rustic outbuilding: This was a typical building used as a dwelling for a farmhand family and had a characteristic walkway that divided the large porch. 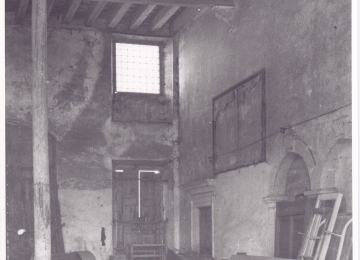 The barns: In the Venetian era they were sheds for tools and farm wagons. 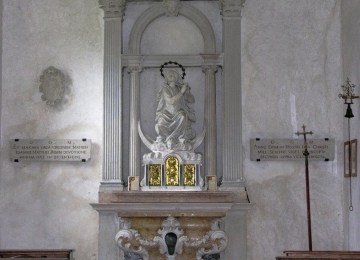 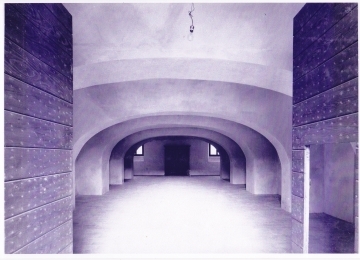 The private chapel: Noble families built private chapels for their own use. 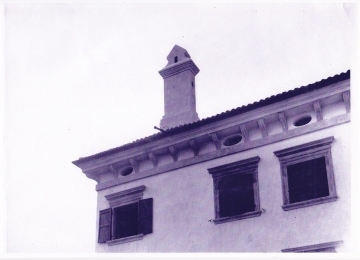 This one is dedicated to the apostle James; the interior has a gable roof and a single nave. 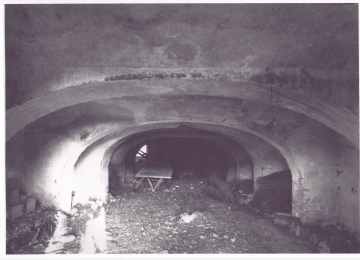 The d'Arco family tombs are under the floor.